Pneumococcal infection by the bacterium Streptococcus pneumoniae is a frequent cause of respiratory illnesses in children, e.g. pneumonia, otitis media, bronchitis and sinusitis. From 1 October, 2014, the 13-valent vaccine will be the only pneumococcal conjugate vaccine available on the Immunisation Schedule. This vaccine is intended to provide broader protection with the additional three serotypes present in the 13-valent vaccine. Thank you to Associate Professor Nikki Turner, Department of General Practice and Primary Health Care, Director CONECTUS and the Immunisation Advisory Centre, University of Auckland for expert review of this article. Pharmaceutical Management Agency (PHARMAC). Changes to the National Immunisation Schedule. PHARMAC, 2013. Available from: www.pharmac.health.nz/news/item/national-immunisation-schedule-changes (Accessed Mar, 2014). Ministry of Health (MOH). Immunisation handbook 2011. MOH, 2011. Available from: www.health.govt.nz (Accessed Mar, 2014). In the latest update released in December 2013, it was reported that daily smoking rates in adults are continuing their downward trend dropping from 16.4% in 2011/12 to 15.5% in 2012/13. Smoking rates in young people have also declined from 24% of people aged 18-24 years smoking daily in 2011/12 to 20% in 2012/13. However, smoking rates among Māori and those living in the most deprived areas are still high; 36% of Māori adults and 28% of adults living in the most deprived areas smoke daily. Current survey results show an increase in the incidence of obesity in adults. In New Zealand, 31% of the adult population are now obese. This is an increase from 29% in 2011/12 and 26.5% in 2006/7. Rates of obesity are significantly higher among those living in socioeconomically deprived areas. Prescription prices increased from $3 to $5 on 1 January 2013 and it was anticipated that more people would be unable to collect their prescriptions due to the increased cost. However, in the 2012/13 survey, fewer adults (6%) reported that they were unable to collect a prescription due to cost in the last 12 months, compared to the previous year (7.4%). However, the authors stated that more data is required to confirm this finding as the 2012/13 survey included responses from interviews conducted both before and after the price change. Results from the 2013/14 survey will enable better comparison of rates of unfilled prescriptions before and after the policy change. Of concern, people living in more deprived areas have poorer health and report greater unmet need for health care. Significantly higher levels of all health risks, including smoking, hazardous drinking, inadequate fruit and vegetable intake, low physical activity and obesity are reported by those living in the most socioeconomically deprived areas. This group have a higher incidence of most health conditions, with rates of diabetes and psychological distress being particularly high in comparison to rates in people living in the least deprived areas. Cost was a major barrier to seeking health care for adults and children living in the most deprived areas. In particular, children living in the most deprived areas were seven times more likely than children in the least deprived areas to have unfilled prescriptions due to cost in the past year. Ministry of Health (2013). 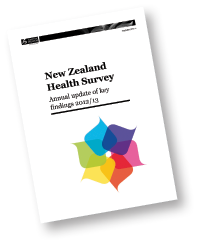 New Zealand Health Survey: Annual update of key findings 2012/13. Wellington: Ministry of Health 2013. Following a successful pilot in 2010, the Community Pharmacy Anticoagulant Management (CPAM) Service was rolled out to a further 50 pharmacies in 2013. Currently, 125 pharmacies throughout New Zealand are offering this service to over 2000 patients. The CPAM Service is a new model of care which involves accredited community pharmacies providing point-of-care INR testing (by finger prick sample) and adjusting warfarin doses “on the spot” with the aid of a decision support system (INR Online). The General Practitioner retains overall responsibility for the patient’s management and is automatically informed of each test and the recommended dose, is consulted on tests that fall out of range, and can intervene at any time. Pharmacies are funded through DHBs to provide this service and it is provided free of charge to the patient. General Practitioners can work with pharmacies to identify patients suitable for the service. Some patients will still require management by the practice and others may be referred back. Patients can opt-out of CPAM at any time. For background information on CPAM, see: “ INR point of care testing in community pharmacies – is this the future?”, BPJ 31 (Oct, 2010). CPAMS Working Group. Interim Review of the Community Pharmacy Anticoagulation (CPAM) Service. 2013. Shaw J, Harrison J, Harrison J. Community Pharmacist-led Anticoagulation Management Service Final Report. 2011. A large European review is underway to re-evaluate the balance of benefits and risks of sodium valproate in pregnancy. In New Zealand sodium valproate is contraindicated in pregnancy (TGA pregnancy category D),2 however, there may be a few women whose epilepsy can only be controlled by sodium valproate, who are therefore using this medicine throughout pregnancy.6 In 2009 bpacnz advised that lamotrigine or carbamazepine are the preferred initial treatment choices for women of child bearing potential with epilepsy. For further information, see: BPJ 24 “Prescribing issues associated with anticonvulsant medications for epilepsy”, BPJ 24 (Nov, 2009). 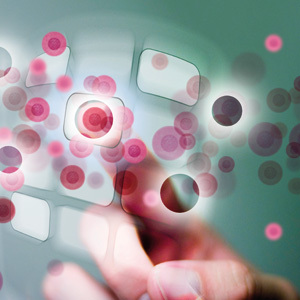 UK Medicines and Healthcare Products Regulatory Agency (MHRA). Sodium valproate: special reminder on risk of neurodevelopmental delay in children following maternal use-not for use in pregnancy unless there is no effective alternative. Drug Safety Update 2013;7(4). Available from: www.mhra.gov.uk/drugsafetyupdate (Accessed Mar, 2014). Sanofi-aventis New Zealand limited. Epilim datasheet. Available from: www.medsafe.govt.nz (Accessed Mar, 2014). Veiby G, Daltveit AK, Schjølberg S, et al. Exposure to antiepileptic drugs in utero and child development: A prospective population-based study. Epilepsia 2013;54:1462–72. Christensen J, Grønborg TK, Sørensen MJ, et al. Prenatal valproate exposure and risk of autism spectrum disorders and childhood autism. JAMA 2013;309:1696. Bromley RL, Mawer GE, Briggs M, et al. The prevalence of neurodevelopmental disorders in children prenatally exposed to antiepileptic drugs. J Neurol Neurosurg Psychiatry 2013;84:637–43. Meador KJ, Baker GA, Browning N, et al. Fetal antiepileptic drug exposure and cognitive outcomes at age 6 years (NEAD study): a prospective observational study. Lancet Neurol 2013;12:244–52.